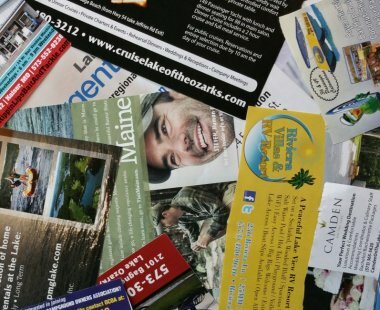 Printed collateral marketing materials will continue to play an important role in your overall marketing efforts. They provide an opportunity for your customers to hold onto something after you have made a connection. Graphic design for your individual print collateral is a balance between understanding your corporate goals, excellent creative design sense and knowledge of the final print production process. We will give your business or organization the competitive edge and get your message across clearly, concisely and cost-effectively. Our capabilities and the vast experience we have in the area of graphic design for print enables us to continually satisfy our clients' requests. Graphic design for print should not be approached as a 'one size fits all'. Before jumping headfirst into your next graphic design project, be sure to consider the different print output options available. Our creative team understands the various print mediums and can determine which is appropriate based on your specific needs. The final size, number of colors, type of stock and estimated quantities are all essential elements to consider when selecting the appropriate method for designing and printing your print materials. Our approach to graphic design for print enables quick turnaround on high level graphic design initiatives because we think ahead. On an even higher level, our agency's integrated approach to all of our creative services provides our clients with exciting opportunities and end-to-end graphic design solutions that aren’t limited to just print design. This capability helps to extend our clients' marketing budgets by leveraging the primary graphic design elements in a variety of outlets.